Hillary Clinton finally spoke to the press on Thursday. 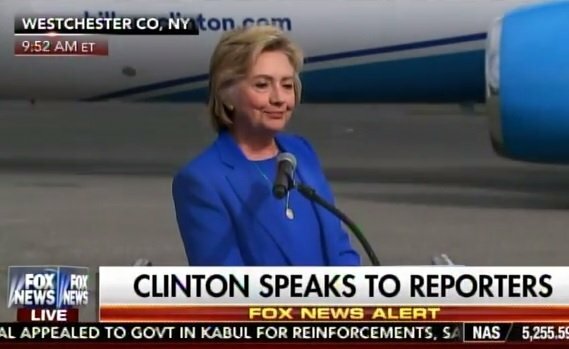 She joked with the reporters and then whined about how the media was treating her unfairly compared to the coverage Trump was getting. Hillary Clinton: That’s a very fair question. I have been somewhat hardened by a number of articles recently that point out the quite disparate treatment of Trump and his campaign compared to ours. I don’t understand the reason for it.